This course will be shot out to 200 yards, from atypical positions. 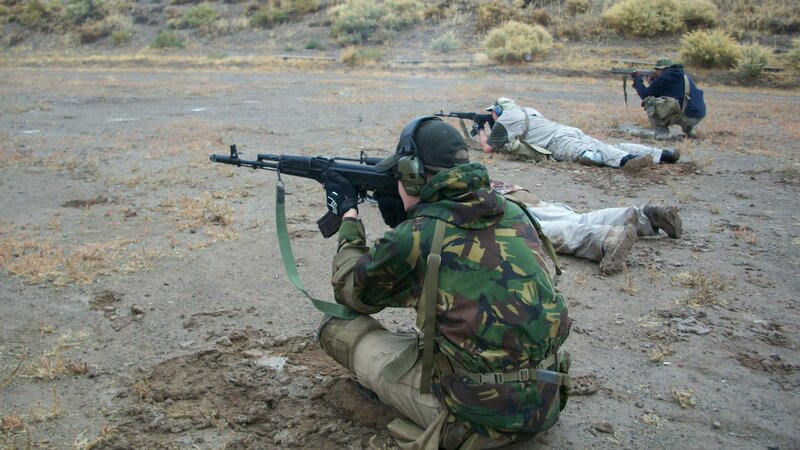 A properly zeroed rifle is a must and auxiliary rifle gear capable of holding at least 5 magazines is highly recommended. To quick check or to not quick check……that is the question? The quick check is a quick look to the left and to the right after you have shot them to the ground, while still pointed in on the downed adversary. It is explained as a way to break your tunnel vision and to quickly see if there are any additional threats in the forward 180 degrees. When done correctly the quick check is solid. But I have seen then done so badly in the past that we use to call it “the California twitch.” It all comes down to doing them at a level that allows you to actually see something while you are checking. What say you all, do you like the quick check when it is done correctly? Here is where I am at right now when it comes to the after action drills (AAD’s) that I am teaching. 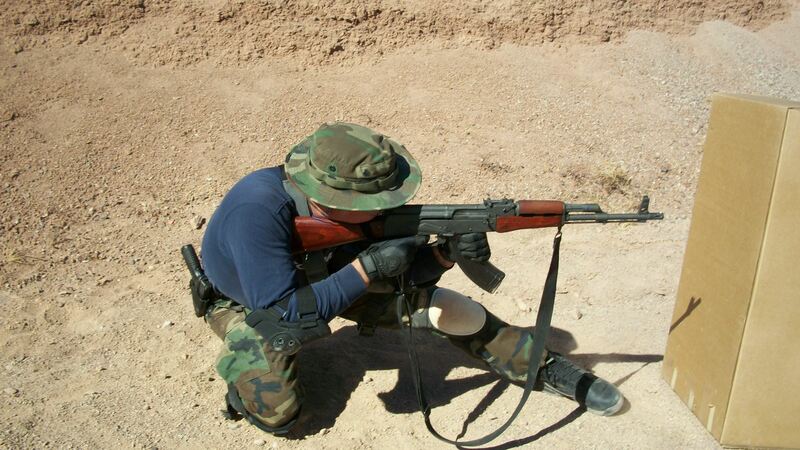 1) Shoot them all of the way to the ground and point in at the downed adversary/adversaries. 3) Scan forward 180 using the third eye principle (two eyes + one muzzle = third eye principle) while looking for other potential threats, identifying their hands, and checking high and low. 4) Drop into Sul and check the rear 180. Step forward into known spaces using the best direction that you prefer balancing out your retention and marksmanship concerns. Check the hands of every person behind you to train yourself to actually see. 7) Tactile (using the racking method) and visual medical check, done in halves or in quadrants. Wetness and color check on hand before moving to the next half or quadrant. 8) “Is this really over?” and reluctant re-holstering doing whatever needs to be done for a safe re-holstering. Most of you guys know me……I’m a concepts guy and I see after action drills as a concept. It is not a check list that has to be done just so, it is training in a repetition of things that should be covered. The concept is clear, but how we get there needs to be situational dependent. If there are two adversaries, I am not shooting one to the ground before I pay attention to the other. If I am at slide lock, I am not going to quick check or scan before I have reloaded. If I am hit in an artery and I only shot 2-4 rounds, I am not going to reload with retention before I go to my tourniquet. If I am in a public setting with innocents around I will also change my “pointed in” forward 180 scan. Since we are concept guys, that deal in situational dependent matters, I will not necessarily cover innocents unless I feel that it is the very best thing to do. As a overly conscientious person, I realize that winning a gunfight is not just about going home. It is also about being able to live with yourself. Knowing me, if I killed an innocent, that would stay in the forefront of my thinking for the rest of my life. Hopefully, I would survive that. If we are talking about zero dark thirty out on the streets, I have no concerns with pointing in while looking around. It is when there are innocents present that my “pointing in” will turn to Sul…….which was trained in to me during my AAD’s that I practiced on the range. Concepts = fluidity, adaptability, and the ability to improvise on the fly, no matter what the situation is. 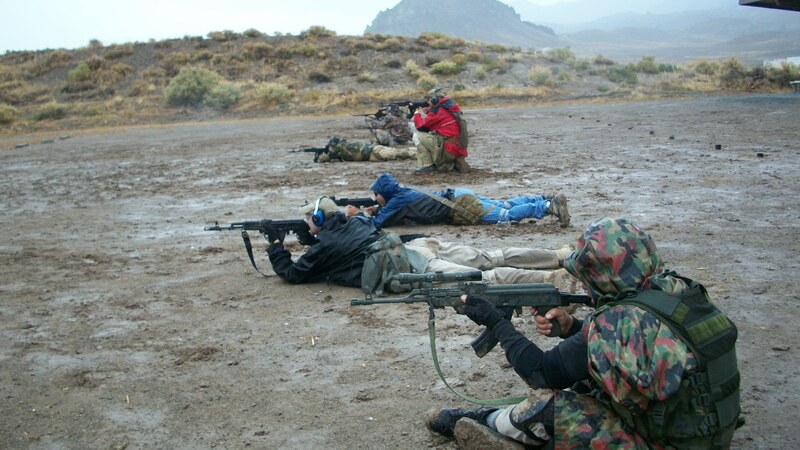 This is not your typical intermediate level marksmanship based course, where incoming rounds are rarely discussed. This course is all about the proactive gun fight and the balance “to hit and to not be hit.” When we look at the dramatic up swing in jihadist attacks inside of our Country and the fact that this administration has a “head in the sand” strategy toward dealing with this problem, it is clear to me that we need to take our proactive gun fighting skills to the very next level. This is not about shooting for score, it is about fighting with precision. I have wanted to teach this course for a very long time, but the powers to be felt that it was not necessary. Now that I am on my own, I will be calling the shots on what is necessary. This is a course that I developed in 2015 because I saw a need and a gap That I felt needed to be filled. We have taken the reactive gun fight to never before seen levels and it is time to do that with the proactive gunfight. The proactive gunfight is a very rare event for a civilian concealed carry practitioner during typical street crimes. Those will most likely be reactive encounters. But the world has changed and the increase in violent jihad has dramatically increased the chances of an active shooter event and the need for high level proactive gun fighting knowledge and skills. This course addresses these changing times and those changing priorities.